DMEXCO 2018 may have kicked off this week but news from the show has been left in the shadows as the Tech giants and EU regulators made their announcements. Apple launched their new iPhone and smartwatch; Google pushed Edge and the EU approved a very controversial Copyright Directive. 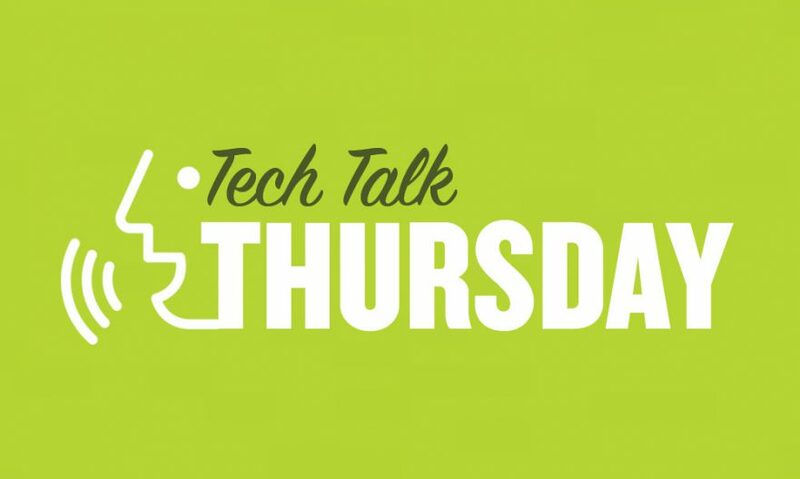 So here’s our ‘Tech Talk Thursday’ top news items with a lovely, little review of our most anticipated film of the year..
EU approves controversial Copyright Directive, including internet ‘link tax’ and ‘upload filter’. The European Parliament has voted in favor of the Copyright Directive, a controversial piece of legislation intended to update online copyright laws for the internet age. The most important parts of this are Articles 11 and 13. Article 11 is intended to give publishers and papers a way to make money when companies like Google link to their stories, allowing them to demand paid licenses. Last year, Karumanchi met her friend’s visually impaired grandmother for the first time and watched her struggle while navigating the home. Not long after, Karumanchi started workshopping an idea to help blind people more safely navigate by infusing cutting edge smart technology into the standard white cane. CCD Design & Ergonomics, an ergonomics consultancy, has launched an “eye-tracking” VR tool, Evidentia, which it claims will help in the design and development of complex new buildings and potentially reduce costs. By identifying potentially problematic issues before building work starts, CCD believes it can reduce overall costs. Microsoft: You Don’t Want to Use Edge? Are You Sure? Really Sure? Microsoft really wants you to use Edge in the latest Windows Insider builds, and the software giant is not afraid to let you know it. Windows Insider Sean Hoffman took to Twitter last night to express his displeasure at a pop-up shown by Windows 10 when he attempted to install an alternative browser. Apple has revealed what its next set of iPhones will look like. At its annual hardware event in California, CEO Tim Cook and other executives have announced three new iPhones and a new version of the firm’s smartwatch. In addition to the phones, Cook announced the Apple Watch Series 4. We CANNOT wait for this movie! Director Damien Chazelle and Ryan Gosling reunite to tell the story of Neil Armstrong and everything that went wrong on the way to Apollo 11’s success. First Man opens in theaters on October 12th. Read the review here!